Page 3 Vatan/Hureau Vincent Ricard, Breton, Vieux Pruniers, etc. We had tasted some of this estate's wines and usually found them to be pretty good. I confirmed this in a blind-tasting of Cabernet Franc wines from the Loire Valley when I had one of Monsieur Vatan's wines as my top selection in the tasting. 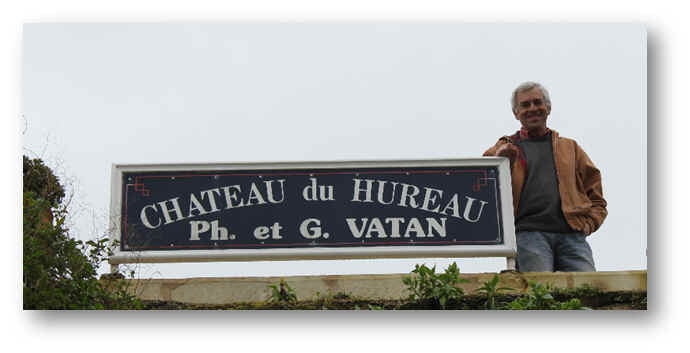 Philippe Vatan runs the estate by himself, his brother having died in a tragic accident several years ago. The estate comprises something like 20 hectares of vines these days. The name of the estate, Hureau, refers to a wild boar. We didn't see any on our brief visit to the estate, but we did taste some really lovely wines. The cellar is immaculate. 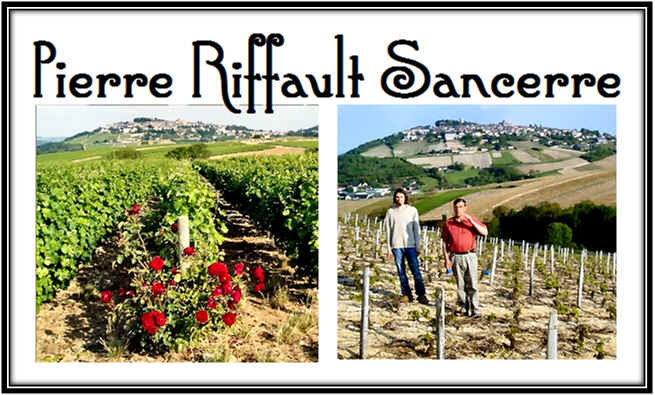 The vineyards are planted on tuffeau, a sort of sedimentary limestone that retains the warmth of the sun. It drains well, causing the vines to plunge their roots deep into the earth, another beneficial aspect of vines in this region. 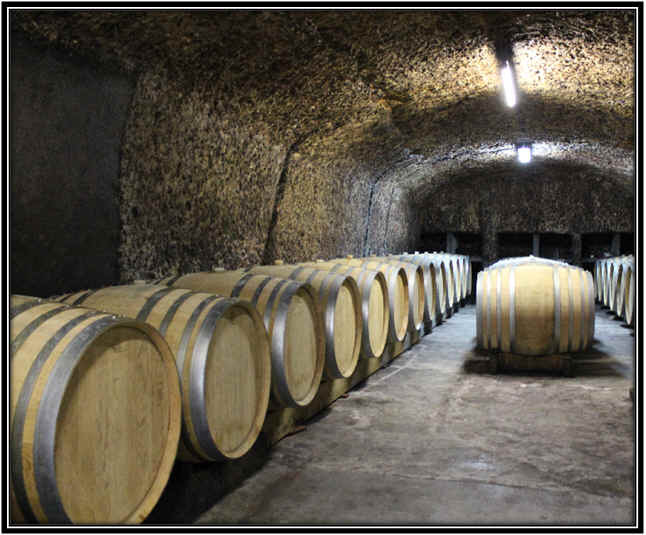 A few wines are matured in wood, but oak is not a major component in most of Vatan's wines. 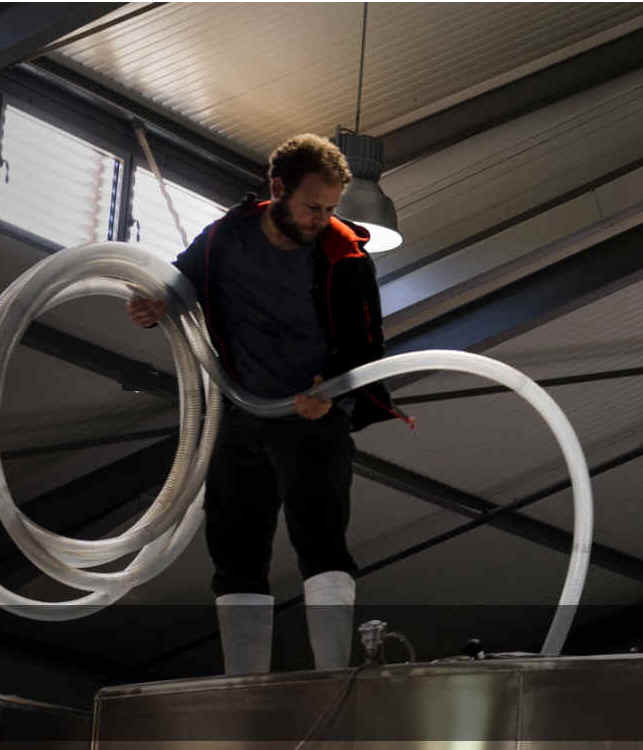 I inquired about all the information scribbled on the stainless steel fermentation tanks and Philippe explained they like to record the wine's progress during its fermentation. We're big fans of the basic bottling of Saumur-Champigny, but even more these days, the Fours a Chaux. This is made entirely of Cabernet Franc. Vatan was amused when a famous French sommelier tasted his entry-level wine and told him "The oak is perfectly integrated with the fruit." When you're a sommelier in France, you know everything about wine. Of course. Funny thing is, though, that Hureau Saumur-Champigny bottling the fellow had tasted was vinified in stainless steel and never saw the inside of an oak barrel. No wonder the wine had such good integration of the oak...it didn't have any! We currently have his Fours � Chaux bottling of Saumur-Champigny. And this wine does see a bit of wood. Philippe explains this site is akin to a grand cru site if they were to classify vineyards within the appellation. Seriously good wine. The vineyards range from 20 to 50 years of age. The grapes are hand-harvested and then placed on a sorting table as another means of quality control. The grapes are then de-stemmed and go into a tank for the fermentation. Vatan employs a long maceration period for this wine, wanting to produce a complex and structured red wine. After about a month on the skins, the wine is pressed and goes into foudre (wooden vat) for a year or year and a half. This 2014 is a wonderful bottle of Cabernet Franc...beautifully drinkable now and it can probably last another 5+ years. Vatan's white wine is periodically in stock... It does see a bit of wood and we have found the past few vintages to be exceptionally good. The wine displays a lovely, intense, melon-like character of Chenin Blanc. It's got a nice bit of oak, perhaps somewhat unusual for most white wines from the Loire. This is a wonderful bottle of wine. The Laporte family owned this estate for many years, but it is now operated by the folks at the famed Henri Bourgeois property who have quite a Loire Valley wine empire. 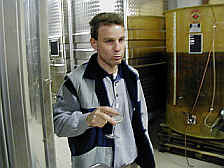 Ren� Laporte managed the estate into the mid-1980s. He had a somewhat different idea in those days for making wine. While the neighbors were, as the French say, "exploiting" (they mean this to say "managing," but in this instance, exploiting is not a bad way to describe what they were doing) their vineyards by obtaining the largest legally allowable yields possible, Laporte pruned more severely to limit crop size in order to make a superior wine. The domaine is comprised of about 75 acres presently and we're told they farm organically. We've periodically had a Laporte wine in the shop. Their 2015 Sancerre called "La Comtesse" is exceptional as it has been for a number of vintages. It comes from a vineyard within the Chavignol area, a prime, top place, in the Sancerre region. They hand pick the grapes and the juice is fermented using its indigenous yeast but with some temperature controlled fermentation tanks. This vintage is really intensely aromatic...we are big fans as it's unmistakable as seriously good Loire Valley Sauvignon Blanc. Pair this with some seafood...it's an outstanding match to all sorts of fish, etc. This is a small, family domaine located in the town of Chaudoux, three miles northwest of beautiful downtown Sancerre. They have approximately 11 hectares of vineyards, mostly planted to Sauvignon Blanc, with maybe 1.5 hectares of Pinot Noir. These are split amongst some 20 parcels within the commune of Verdigny (Chaudoux is a tiny out-cropping). Young Bertrand Riffault has taken the reins of the domaine from his father, Pierre. He graduated from the wine school in Beaune, but seems to have a typical Sancerrois styling to the wine, more than a Burgundian style. With a bit of diversity in soil types (dry, stony chalk along with a chalky/clay terroir), they're able to produce a nicely minerally, almost 'flinty' style of Sancerre Blanc. The wine doesn't see wood and it's matured on the spent yeast following the fermentation. It's a crisp, tangy style of Sancerre that we enjoy with oysters or some simple preparation of fish (such as Rex Sole or Sand Dabs), as it's not especially fruity but more stony/minerally with that underlying flinty quality. This domaine was founded by a fellow from Bordeaux, Christian Prudhomme, who had been affiliated with Mouton-Rothschild and Opus One. He found that Chenin Blanc was less "in demand" than the trophy wines with which he'd been familiar. As people didn't pay much attention to his wine, the domaine was sold in 1989, or so. The new owner is a dynamic guy named Jacky Blot. Blot helped put Montlouis on the map. 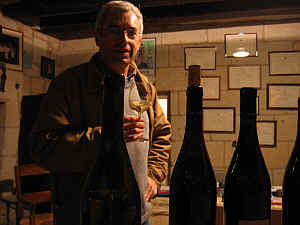 Francois Chidiane certainly pushed the Montlouis appellation to the fore and with Blot's efforts, the area is now highly regarded in many wine circles. The wines have been very good across the board and Blot now makes not only good Montlouis and Sparkling wine, but terrific Vouvray, as well. 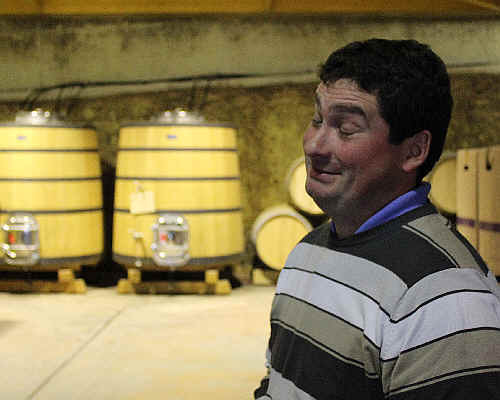 The general philosophy at Taille aux Loups has been to cultivate small production in terms of tonnage in the vineyard. 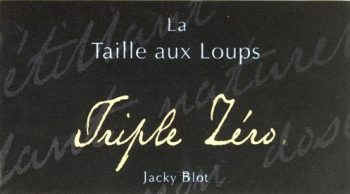 Blot has even purchased more vineyards so the holdings of Chenin Blanc tally to about 60 hectares and his other domaine (Domaine de la Butte in Bourgueil) comprises 15 hectares. Another "secret" of Blot's is to pick in stages. He'll send a crew through a vineyard and demand they pick only 'ripe' grapes. This takes more time than if you simply harvest everything in one pass. Indigenous yeast fermentations are the rule and Blot ferments and ages his wines in various size wood cooperage, from barriques to demi-muids (600 liters) to foudres (maybe 4500 liter capacity). 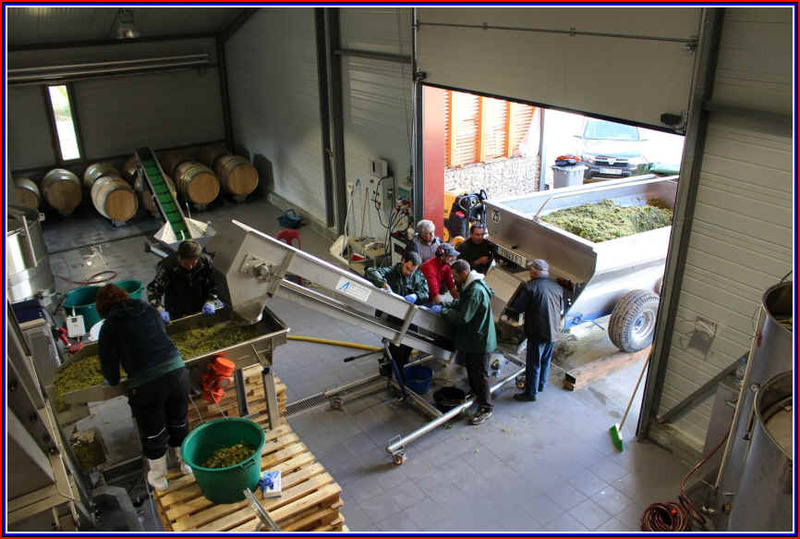 The 2015 Vouvray is their Clos de la Bretonniere bottling. Except it no longer carries the Vouvray appellation, despite the vineyard being located within the delimited Vouvray area. In a brilliant stroke of genius, it's been decided that unless you vinify the wine within the designated appellation of Vouvray, the wine can no longer be called anything other than "Vin de France." Curiously, though, Blot was given the green light on making "Vouvray" in his Montlouis cellars back in 1999 and there was no mention of rescinding this approval at any future date. But the past few years, Blot has been told he cannot label the wine as Vouvray. So despite the wine from Blot (and another vintner, Francois Chidaine) attracting attention to the appellation of Vouvray as their wines are routinely stellar, they may not be label with their proper appellation of origin! This is a 4 hectare parcel owned solely by Monsieur Blot. The yields are reduced by severe pruning allowing them to obtain but a rather meager quantity of wine. All the juice goes into barrique, with one-quarter of the barrels being brand new. It's a great expression of Chenin Blanc and it's one of those wines which will make you a believer (or not). There's a terrific sparkling wine, too. We like their "Triple Zero" which is slightly less fizzy than a Champagne or full-throttle bubbly. It's made entirely of Chenin Blanc from 40+ year old, organically-farmed vines. No chaptalization for the first fermentation. No sugar added to do the secondary fermentation in the bottle. 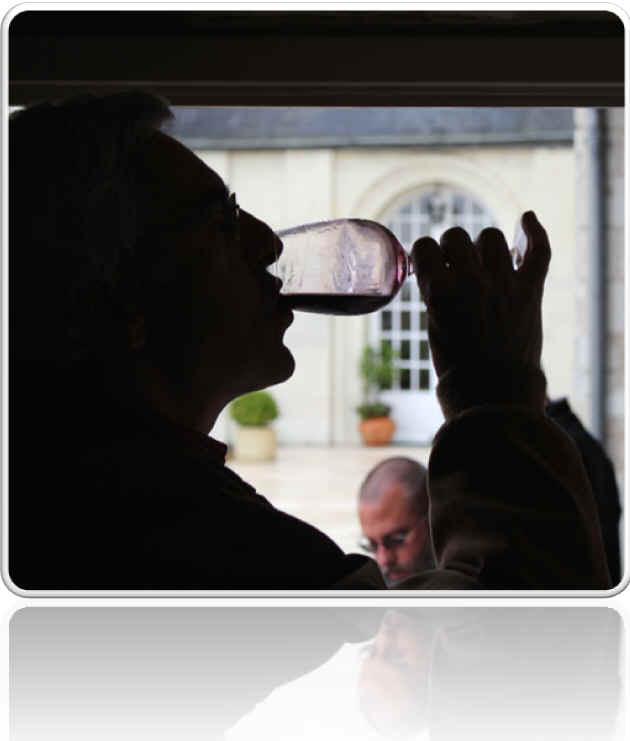 No sugar added as a dosage after the wine is disgorged after about two years en tirage. 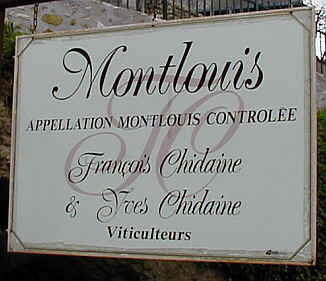 One of the top names in Montlouis is that of the Chidaine family. They have their own vineyards and winery, but I also understand they operate a small negociant business, as well. The domaine comprises some 27 hectares of vineyards, predominantly Chenin Blanc (some 2% of their holdings are Sauvignon Blanc). Some 17 hectares are in Montlouis, but they recently added ten in Vouvray*! 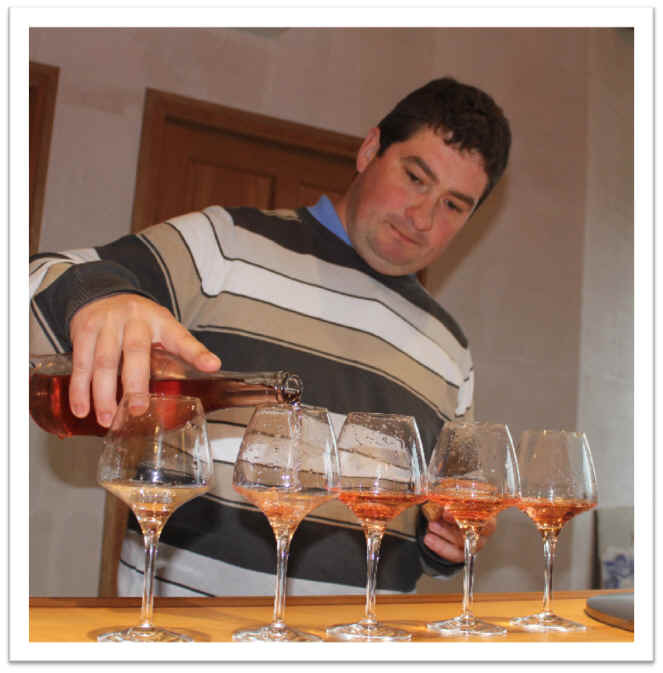 Fran�ois started his winery in 1988. His father, Yves, has long been entrenched in Montlouis, even being the chairman of the local grower's association. Fran�ois is a believer in organic farming, yet you wouldn't know it by looking at his labels. That's because there's no mention of this on the bottle, but his vineyards have been certified as such. 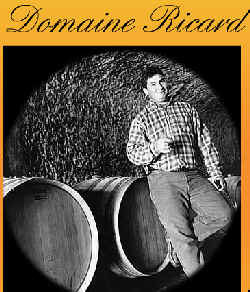 If you look closely at this photo, you will notice the letters "D S L S" on the barrel...so, obviously Monsieur Chidaine buys used cooperage from his buddy (another organically-farming fellow) Didier Daguenau from the Pouilly-Fum� area. As noted elsewhere on our site, "D S L S" is the acronym for however the French would say "God Only Knows". This refers to the widely-held belief that those who sell barrels don't really know the origins of the wood they're selling. Yields are kept to sensible levels, averaging about 30-34 hectoliters per hectare. We sampled a tremendous range of barrels in this place, various lots being from old vines, special sites, etc. 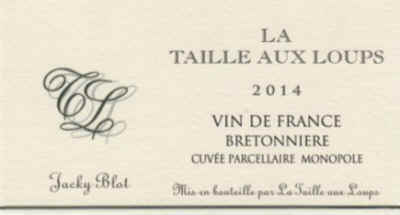 Their Clos de Breuil is a particularly famous wine of the Montlouis appellation. Clos Habert is another. The 2005 Montlouis of the Clos du Breuil site is excellent. This comes from a 3.5 hectare site of mature vines. They're something close to 45 years old and Chidaine obtains sensible yields to maximize quality. In a vintage such as 2005, you'd better turn in your winemaking license if you didn't make an excellent wine. We think Chidaine gets to keep his license. The wine offers hints of melon and white flowers on the nose and palate. It's gentle and supple in texture with a nice finish. *The "addition" of Vouvray to the portfolio here is because Chidaine now manages the Vouvray estate of the Poniatowski family, the Clos Baudoin. 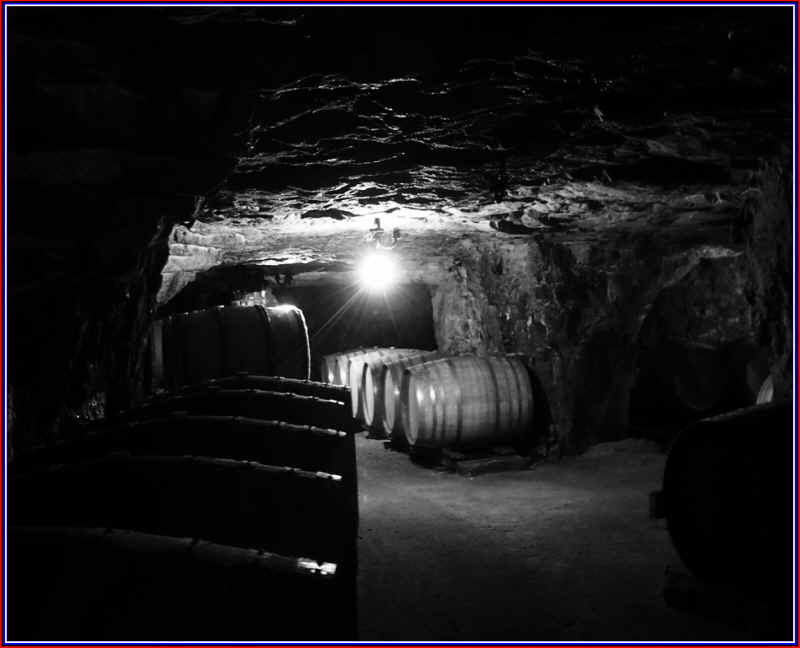 The Cave Christian Thirot is located in the famous little Sancerre village of Bu�. 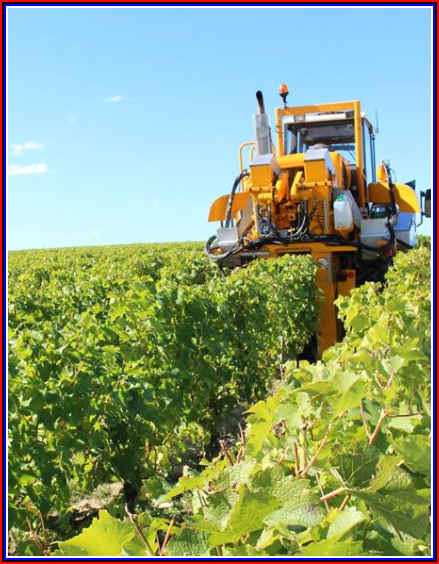 Soils are chalky and they have about 10 hectares in total, seven being devoted to Sauvignon Blanc and the rest planted in Pinot Noir. They're now farming sustainably, by the way. He makes terrific Sancerre, capturing the citrusy notes of the Sauvignon with a mildly minerally note in the background. The wines are about 20 years of age, so they're mature and hitting their prime. The juice is fermented in tank and with somewhat low temperatures, it proceeds for about 2 weeks before the wine is bone dry. No oak, as he wants to highlight the stony, minerally and citrusy notes of the Sauvignon Blanc. The 2017 vintage is stone, bone dry. It is a magnificent example of Loire Valley Sauvignon. 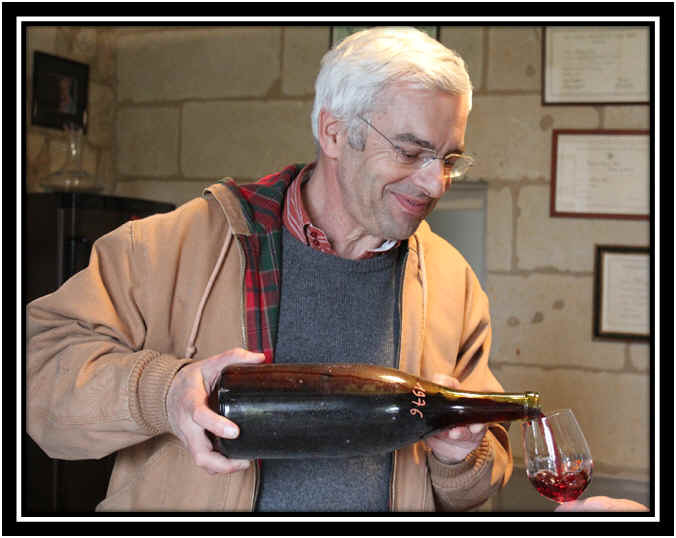 Thirot likes to ferment the juice at low temperatures and he ages the wine on its spent yeast, two of his "secrets." The 2017 is delicious and perfect for seafood! The Cheverny appellation is rather overlooked by most French wine drinkers. Your average French citizen is imbued with wine expertise at birth and many have no trouble to tell you "This is a good wine" merely by looking at the label and knowing the fame of the wine's appellation. "Oh, Gevrey-Chambertin...that's a good wine" they will say, even if they have never tasted wine from that particular producer. You see, it's easy to generalize. Since the French have a penchant for classifications, they know which appellations are the most prominent and best. Meursault and Puligny-Montrachet are excellent, no matter the vintage or vintner. 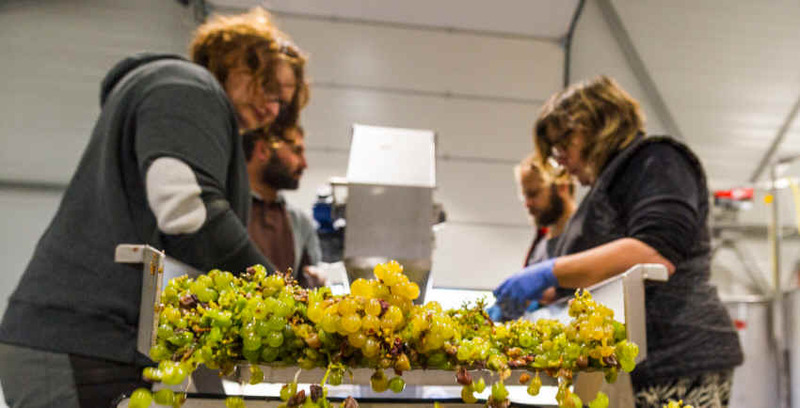 They might look at a range of Sauvignon Blanc wines from the Loire and will "know" the Sancerre is good, while a wine from the Cheverny appellation is automatically regarded as "less good" to "average." The Delaille family owns this property. I read an article concerning the wines of Cheverny and the difficulty in selling wines from this appellation to people in France. You see, it's simply not as chi-chi a neighborhood as Sancerre. As a result, when dining in Paris, you can find Sancerre in virtually every neighborhood bistro, but Cheverny is not on their radar screens. Too much history. Too many classifications. Too little fame. Too bad for the winemakers of Cheverny. Winemaker Emmanuel Delaille was quoted in an article in the French journal, Le Point, as saying "In France, too many people believe to know all and the lessons one learns about French wine. Abroad, the professionals say: 'It is good or it is not good.' There is no border when one is outside our country. Only the wine counts. In France, it is very sectarian. One is never invited to visit Ch�teau Margaux, whereas at Mondavi, yes." We have had several producers' wines from the Cheverny appellation. It's a region where Sauvignon Blanc is the main player, but typically Chardonnay makes a small contribution to the wines. The Salvard property has vines averaging about a quarter-century in age. Their wine usually has about 15% Chardonnay in the blend, but it's a wonderfully crisp, steely, Chablis-meets-Touraine sort of white wine. No oak. These have been consistently good since our first vintage handling them, 2007. The 2017 is currently in stock...crisp and stony. We enjoyed a perfectly chilled bottle at the Hog Island Oyster Company at San Francisco's Ferry Plaza market. It's a steely, lightly minerally wine, so you can imagine it was a sheer delight paired with a range of fresh, tangy oysters. In the Loire they'll also serve this with local goat cheeses. 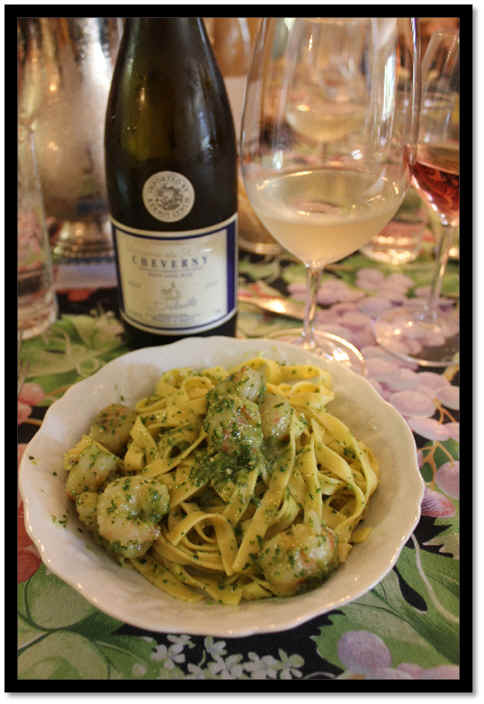 We enjoyed a bottle with some fresh pasta, homemade pesto and rock shrimp. The wine has enough acidity to deal with the pesto and it's sufficiently herbal & citrusy to match up with the basil. Here's a delightful little Cabernet Franc from a 15 hectare estate in the Bourgueil appellation. They're about a five minute ride from beautiful downtown Bourgueil in the village of Benais. This small town had 1600 residents according to census figures from the 1830s, but today there are not even a thousand people living there. 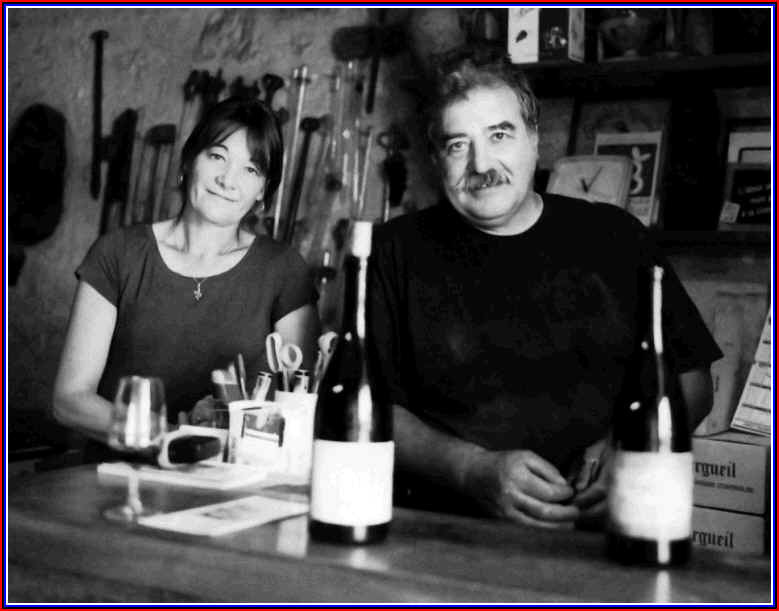 Catherine and Pierre Gauthier (and now their son Rodolphe) believe in eco-friendly farming and modest yields in the vineyards. Pierre's Great Grandfather had been making pottery but bought a smallish estate and planted garlic, beans, carrots, onions and beets, amongst other things. Gauthier's father Andr� appreciated a sensible philosophy towards farming. He was the last one in their town to still use a horse to cultivate the land and so Pierre continues his dad's organic farming practices. He had heard the neighbors touting modern farming, but he eventually thought the notion of using weed-killers and fertilizers under the guise of "progress" were foolish, so he returned to the old, tried & true methods in the vineyards. Gauthier speaks of growers being "addicted" to the latest and greatest chemical products being sold by big corporate giants. He questioned using these and decided to get back to "real" farming and being more in touch with the land and the environment. As of the year 2000 he converted the vineyards back to organic farming and he's much happier with the results. The domaine has about 20 hectares these days. We've had several of their wines in the shop over the past decade, or so. 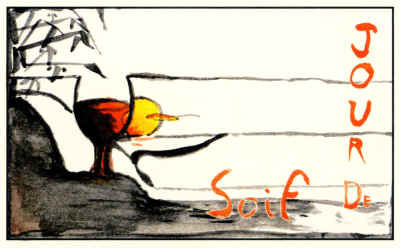 Currently we have their 2017 Jour de Soif, which is an entry-level wine. 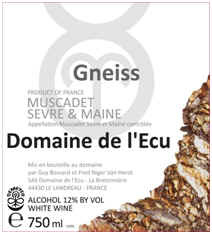 It's made entirely of Cabernet Franc that gets a pre-fermentation cold soak and then it's fermented using native yeasts. It's racked into barrels and matured for a few months, being bottled in the spring to capture the bright red fruit of the Cabernet Franc. We like serving this at cool cellar temp and it seems to improve with an hour of aeration in a decanter. So, if you're thirsty for a medium-bodied, youthful Cabernet Franc, this may be worth trying. 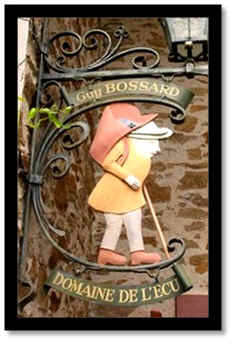 Guy Bossard has been making wine for decades and is viewed as a leading light in the world of "Muscadet." Of course the grape of Muscadet, the Melon de Bourgogne, tends to produce a rather innocuous dry white wine if left to its own devices. But cultivated with care and vinified skillfully, the grape can produce a most satisfying wine which exhibits some measure of terroir. It's not as "noble" a variety as Riesling or Pinot Noir, but paired with the right food, a bottle of Muscadet can make for a most satisfying gastronomical experience. Bossard was an early advocate of some sort of organic farming, shunning the new-fangled chemicals popular with many growers back in the 1970s. In the 1990s he began converting to Biodynamic farming. And his wines have "stuffing," which is unusual for Muscadet. Most are superficial, simple, dry, light white wines without any particular character. You can pair this with 'normal' Muscadet fare such as oysters, but it's big enough to stand up to a soulful bowl of steamed mussels or clams or even roasted chicken or pork! That's saying something. There are numerous Reverdy family wineries in Sancerre and you'd be correct in judging this book by its cover: This producer makes "old fashioned" Sancerre. 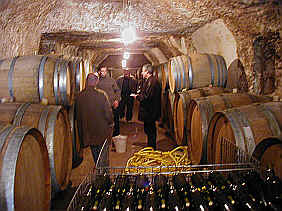 The vineyards and cellar are in the town of Verdigny, a sleepy little burg of about 300 residents. The Hippo, as we suspect he was known to his buddies, had grapes as a part of their farming business back in the 1940s. After World War II, the family found an increasing demand for wine and bottled some of their own and sold grapes to the local grower's co-op cellar. One of Hip's sons took over the domaine in the 1980s when Dad died and the other two sons passed away. Today the estate comprises something like 14 hectares with a little bit of red wine as part of their production. The vineyards are farmed sustainably, by the way. The Sauvignon Blanc vines are approximately 25 years of age. The 2017 Sancerre is currently in stock. This is one of those minerally, grapefruity, stony dry white wines. It's a wine intended to pair with dinner, so the acidity is nice and crisp and the wine blossoms once opened and allowed to get some air. You know how some products are marketed as "This is not your father's fill-in-the-blank (like Oldsmobile)"??? Well, this IS your father's Sancerre! The Chotard family has a long history of farming and winemaking in the village of Reigny, about 6 kilometers west of Sancerre. 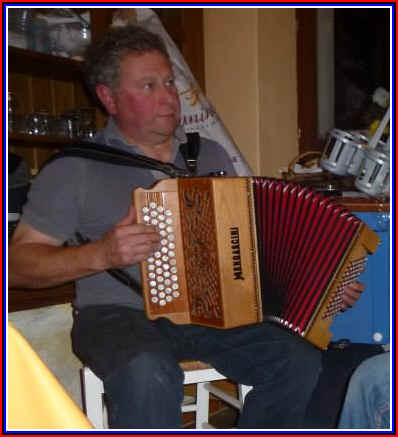 Daniel Chotard fancies himself as a musician as well as a Vigneron. Since 2011 Chotard's son Simon has been working in the family business. 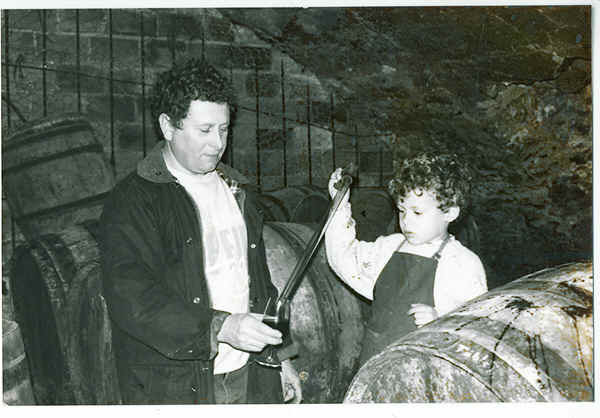 He studied winemaking in Toulouse, but on top of his university education, even more valuable is the schooling he got from his father, Daniel. The Chotards prefer to pick at slightly riper levels of maturity than many of his neighbors, but his wine still strikes us as having crisp acidity and a beautifully minerally note to go along with the mildly lemony Sauvignon Blanc fruit. The 2017 is the current release. And then they put them on a sorting table to cull out any fruit that is not perfect. 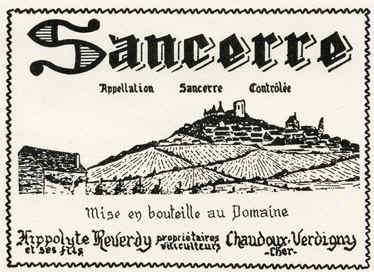 Daniel Chotard makes harmonious Sancerre. Vincent Ricard is making some of the most impressive Touraine wines in the Loire Valley and it's clear this fellow has learned from his mentors. Ricard was an intern at the estate of Philippe Alliet in Chinon, where he learned about red wine production and he spent time with Francois Chidaine's uncle, Claude Levasseur, learning about white wine. And how! We understand Vincent's grandfather was instrumental in establishing a modest grape grower's cooperative winery in the Touraine appellation which still exists today. The family estate features some rather old vines. This is but one of the secrets of Domaine Ricard. Vincent is well-versed in biodynamic farming and organic viticulture and he reportedly employees environmentally-friendly techniques. We recall him saying he didn't want to use "organic" as a marketing tool and he said many of the wines sold on the basis of being so were really poor quality. Still, he did get certification of his biodynamic farming practices which he's employed for many years prior to the documentation. The domaine presently is made of up 30 hectares. Touraine. 21 hectares are simple Touraine Blanc and 4 are Touraine Rouge. Ricard has 5 hectares of Touraine in the sub-appellation of Touraine Chenonceaux, a new appellation since the 2011 vintage. Ricard calls the Chenonceaux wine "Tasciaca" which is some ancient reference to Th�s�e, a small town near his winery. The vines are 30 to 40 years old and the grapes are picked by hand. Ricard ferments 75% in 400 liter puncheons and the remainder goes into special conical-shaped tanks. The wine is quite different from typically Loire Valley Sauvignon...it's almost floral along the lines of a Riesling. It's really exotic and tastes like the Rheingau meets the Loire Valley. 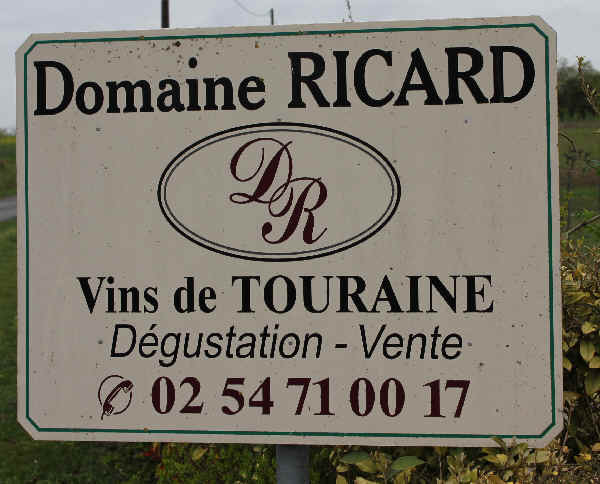 Ricard makes a Touraine white called "?" and this is, unquestionably, a remarkably fine wine. Sauvignon Blanc from low-yielding vines and the juice spends about 3 months fermenting in the cool, underground cellar used by Ricard. The wine is then racked into new oak and it spends nearly a year in wood. I find it stylistically similar to Dagueneau's fabulous Pur Sang bottling. This will set you back $39.99. Don't miss it.